A beautiful crisp but sunny morning brought out some savvy potential home purchasers in Hamlyn Heights this morning at the auction of 5 Chaucer St Hamlyn Heights today. The crowd in attendance saw the Auctioneer, Gina Popowicz sell the property after Auction to an excited young home buyer who has plans in mind for this quaint two bedroom house in one of Geelong’s most sought after suburbs. We congratulate the purchaser on the purchase and thank the vendor for the opportunity. 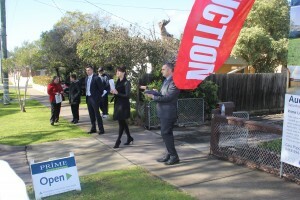 And finally, we congratulate Gina for conducting such a professional auction and achieving yet another Prime result!